Plot: Layne Meyer (John Cusack) has just lost his beautiful girlfriend Beth (Amanda Wyss) to the most popular and best looking guy in school...who just happens to drive a really nice car also. Well, Layne has decided he's going to get Beth back by getting a job, getting a nice car, and winning the ski race down the feared K-12! It's not just that this movie was bad, it was also boring. I can handle a bad movie as long as it's somewhat entertaining but I was checking my watch the entire time. And honestly, it was just really stupid; I have no idea how it got such a decent score on rottentomatoes. 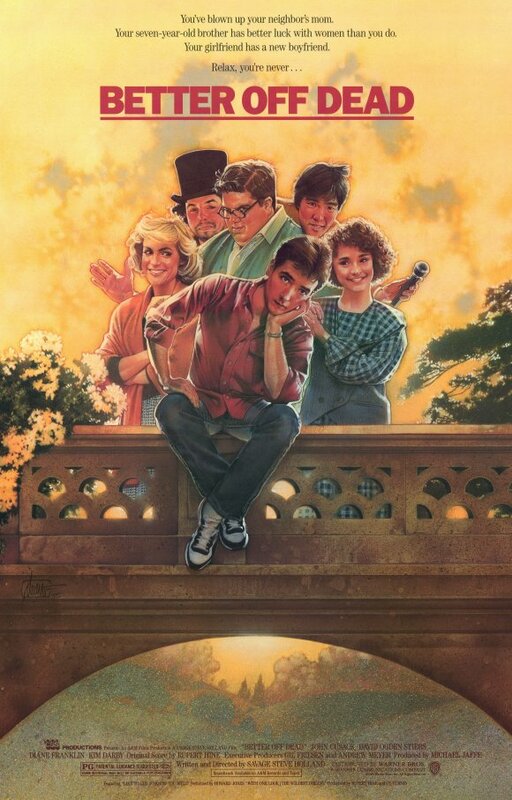 It's an 80's teen movie, a zany farce and black comedy all in one. Somehow, all of these elements work together to create a somewhat unique and very funny comedy that is very reminiscent of the decade it was made in. Good fun. I guess John Cusack hated this movie, but I, for one, love it. It's a perfect blend of 80's nostalgia, dark comedy, and absurdist elements. Think of it as a teen After Hours, where things don't necessarily have to make perfect sense to be funny. Definitely a memorable experience that can be watched over and over again. Lane Myer (John Cusack) was replaced by his girlfriend Beth (Amanda Wyss) for a captain of the high school ski team, Roy Stalin. Myer gets close to a French foreign exchange student named Monique (Diane Franklin). A few nice lines from Monique: �I think all you need is a small taste of success, and you will find it suits you.� and Lane � �No, tentacles. N-T. There's a big difference.� "She only speaks French, Roy. She doesn't speak imbecile." No posts have been made on this movie yet. Be the first to start talking about Better Off Dead!